A deft touch of wood sets off more complex and slightly riper red and dark berry fruit aromas that also evidence nuances of violets, spice and warm earth. The rich, round and solidly intense large-bodied flavors possess a textured mouth feel and plenty of volume before culminating in a hugely long, serious and notably firm finish. Good potential for improvement here. 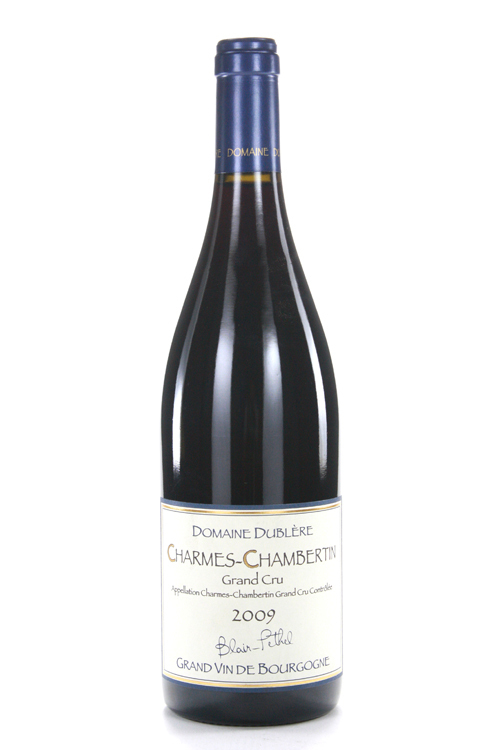 With 400 hectares under vine and eight grand crus (more than any other village,) Gevrey-Chambertin is one of Burgundy’s largest but yet finest villages. Its wines are typically richer and firmer than neighbouring Chambolle-Musigny and Vosne-Romanée to the south. Gevrey’s grand crus are located together in one area at the southern end of the village bordering Morey-Saint-Denis. Chambertin, often considered the finest as with the region’s other great vineyards, is appended to the name of the village to which it belongs. Interestingly and perhaps by no coincidence, Chambertin shares a very similar soil make-up to the equally famous white wine vineyard - Le Montrachet – in the Cote de Beaune’s, with an almost identical proportion of two thirds fine earth and one third pebbles. Adjoining Clos de Beze and Chapelle just below are also considered to be just as fine, but are slightly different in style, offering more delicacy and sometimes more complex wines. Some of the villages premier crus, such as Clos St-Jacques and Cazetiers in the north west corner of the commune, are often sold for just as much the grand crus, and are quite justifiably priced. The village level wines also vary depending on where they come from. Those to the north have more grip and strength, while the southern climats tend to me more fragrant. In this instance, blending of the different vineyards allow more flexibility in producing a more complex and balanced wine.